Rob exposed his wife on social media. Rob Kardashian posted naked pictures of Blac Chyna on Instagram following accusations that she cheated on him while they were dating. The KUWTK star shocked fans on today (5th July) when he took to Instagram to expose Chyna in a series of now-deleted raunchy snaps. Rob accompanied the pictures with a series of hostile captions. "This is from Chyna yesterday to me," he said. "I never been so disrespected in my life. I just bought her 250K of jewelry yesterday. This woman is so disrespectful and I don't care." He then continued to post a barrage of images that he claims were sent to him and also revealed that he paid $100k towards plastic surgery after she gave birth to their daughter Dream. 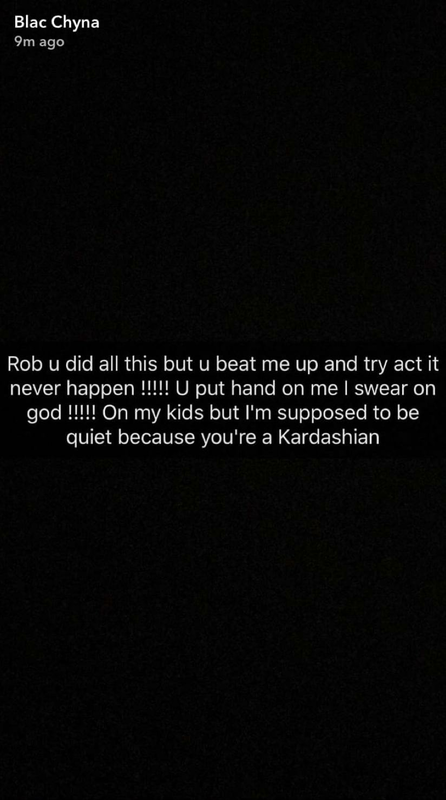 Blac Chyna was quick to fire back, taking to Snapchat to claim that Rob Kardashian had abused her in the past. We will update this story page as the story develops.